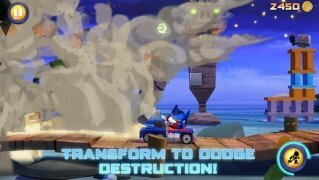 The neverending fight between birds and pigs is back, but this time taken to the Transformers world. 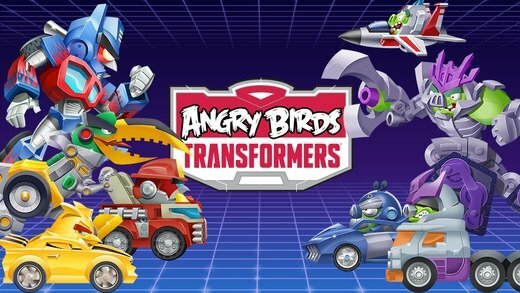 Autobirds and Deceptihogs will face each other in Angry Birds Transformers. 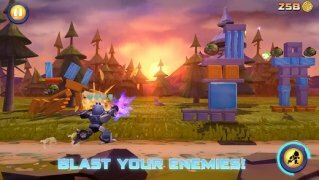 Angry Birds has undergone a radical change and presents its classic formula combined with an action shoot'em up. 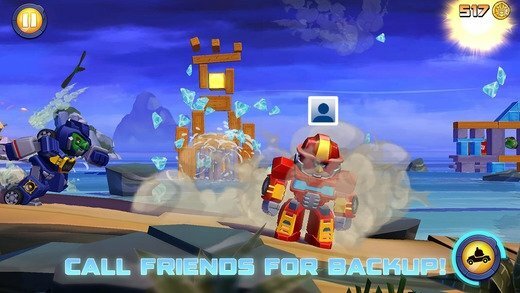 But now the Autobirds and Deceptihogs won't face each other, they will join forces instead to save Piggy Island from the crazy EggBots, commanded by EggSpark. Settle your differences and join your archenemy... it's for your own sake. 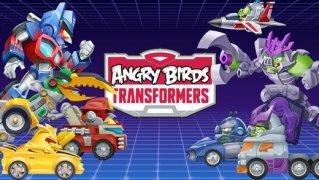 Autobirds and Deceptihogs join forces. Collect all the heroes and villains. Make the most of their powers and unique skills. Improve the weapons of your warriors. 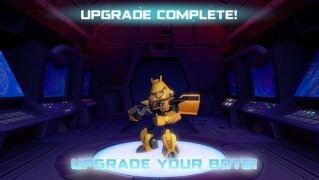 Unlock Hasbro's Telepods to relive or enhance your robots. 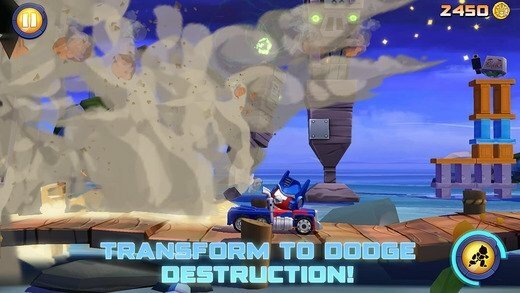 Get hold of Angry Birds Transformers for iPhone and save Piggy Island.